Chaplain Kirker, delivering the first prayer at the Memorial Day services, for members of the 11th Airborne and 1st Cavalry Divisions. Chaplain Daly and Chaplain Adler followed. Taken 30 May 1945. The corps was apparently stationed at what army records refer to as Base or Camp R. According to the web site Pacific Wrecks, this was a sub-base controlled by Base M, which was located in San Fernando, La Union Province2. If the coordinates provided by this same web site are accurate, then Base R was located in the vicinity of Barangay 7 of present-day Batangas City. 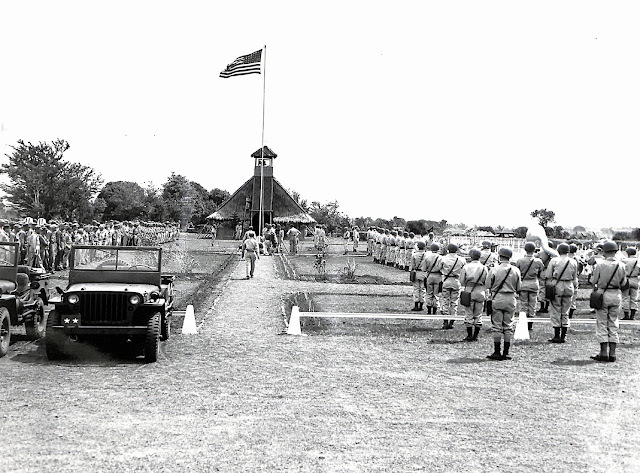 While stationed there, its personnel took pictures of military and other activities related to the United States Army. 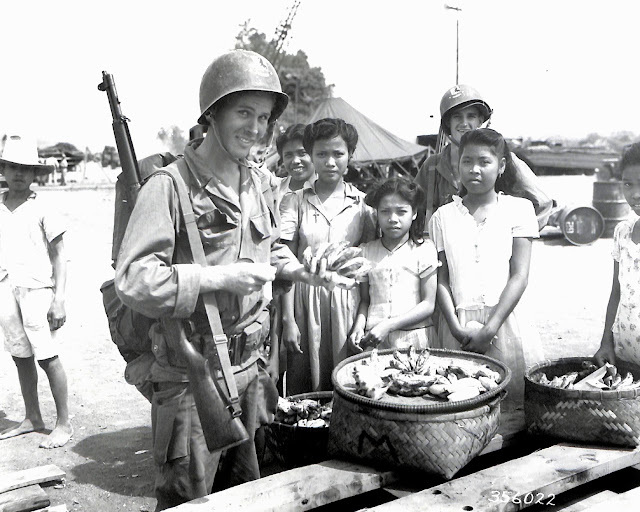 These pictures have now been digitized and are downloadable from the web site of the United States National Archives3. 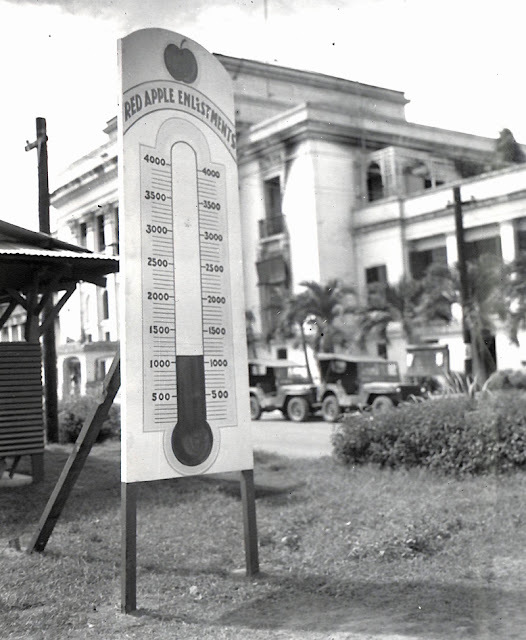 The archived pictures are numerous, so included are only those deemed of potential interest to a contemporary Batangas audience. All pictures are captioned from text originally provided by the United States National Archive. Signs at Recruiting Office at Base R, has been erected to publicize the Red Apple Enlistment Plan. 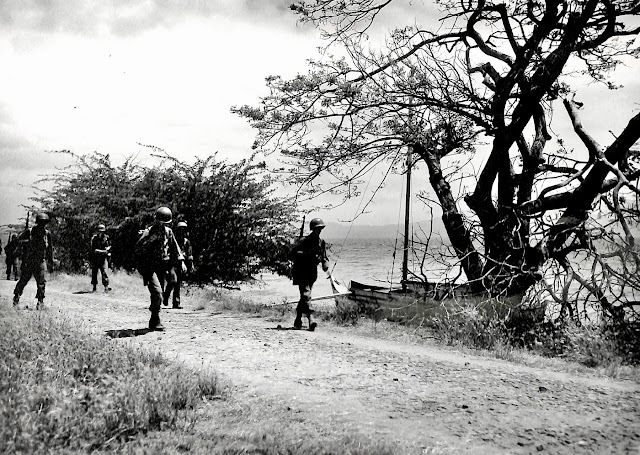 Taken 9 November 1945. S/Sgt. 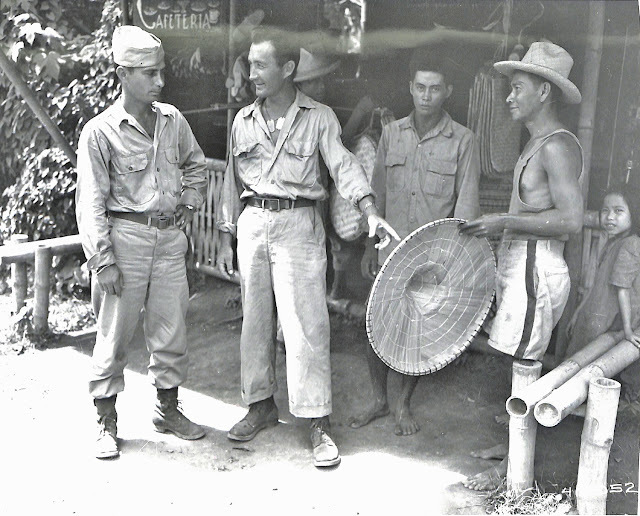 John Nesteruk, Pacific veteran, in conducting his brother, T/S Michael Nesteruk, who arrived from France, on a Philippine shopping tour. The two brothers are from Youngstown, Ohio. Taken 28 July 1945. View of Cathedral of Batangas, Batangas Province. 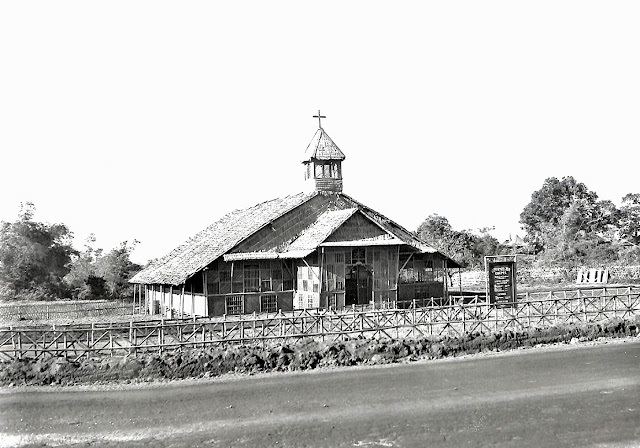 Taken 10 November 1945. 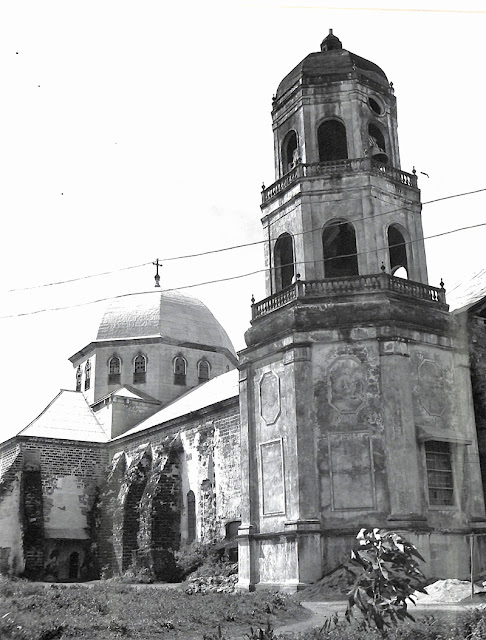 Immaculate Conception Church constructed in 1776, Batangas. 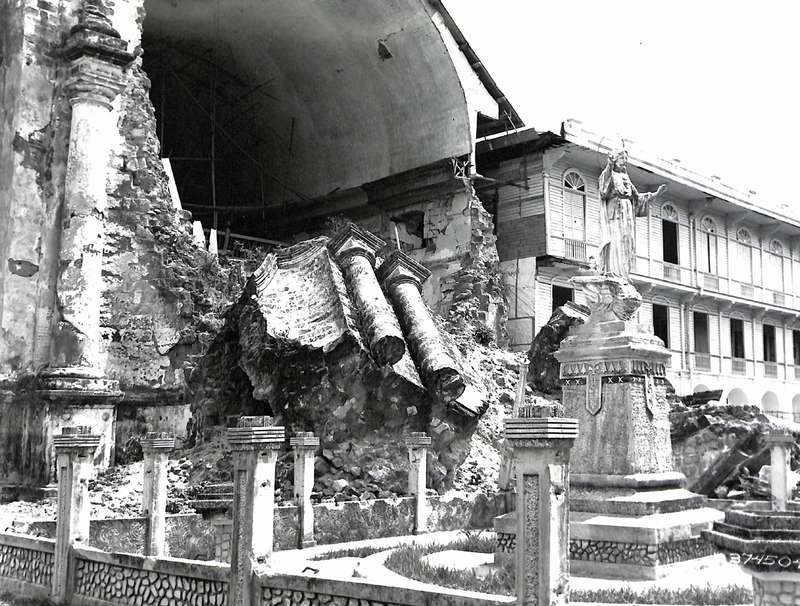 This photo shows a large block of stone that fell from the front of the church during an earthquake on 8 May 1942. Taken 23 May 1945. Pfc. Virgil Magison, Minneapolis, Minn., buys his last banana on Philippine soil, just before departing for Japan. Taken 24 August 1945. 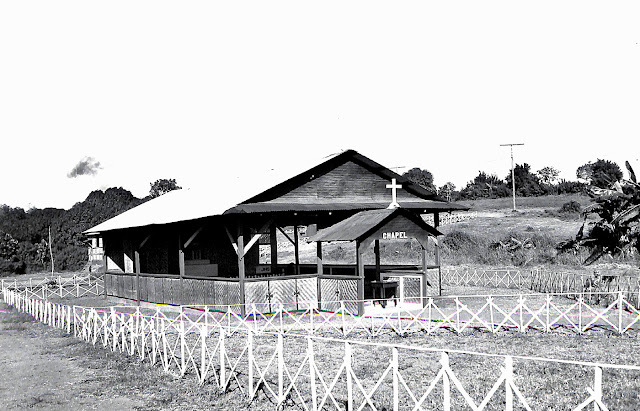 Chapel at the 593rd E.S.T. 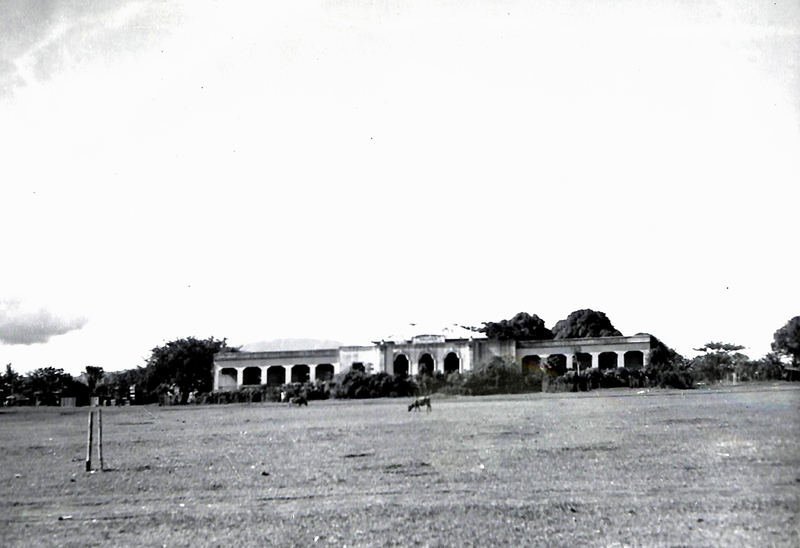 Battalion, Batangas, Batangas Province. Taken 10 November 1945. 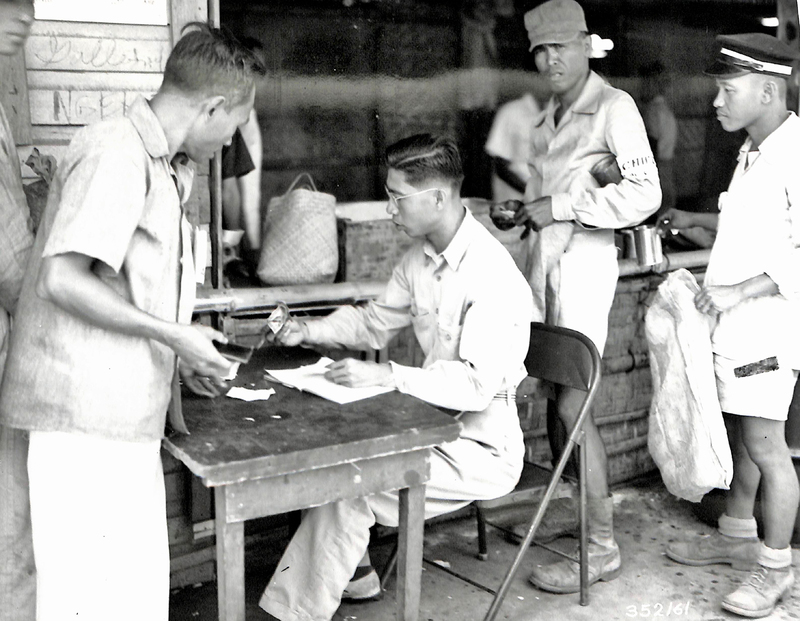 PCAU in operation, Filipino is making a purchase at the counter. Taken 15 April 1945. 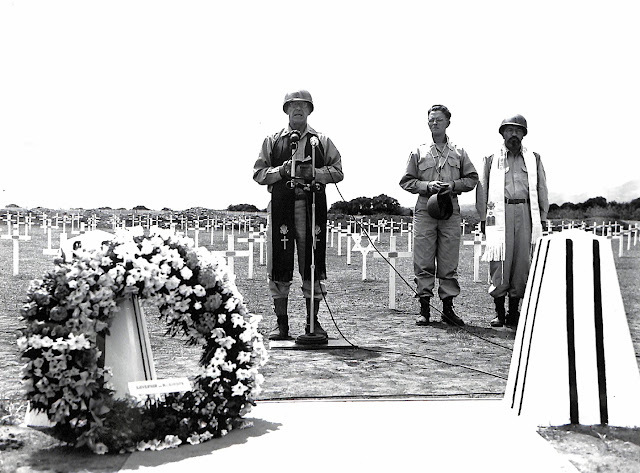 Opening of the Memorial Day services at the Batangas cemetery for members of the 11th Airborne and 1st Cavalry Divisions. Taken 30 May 1945. 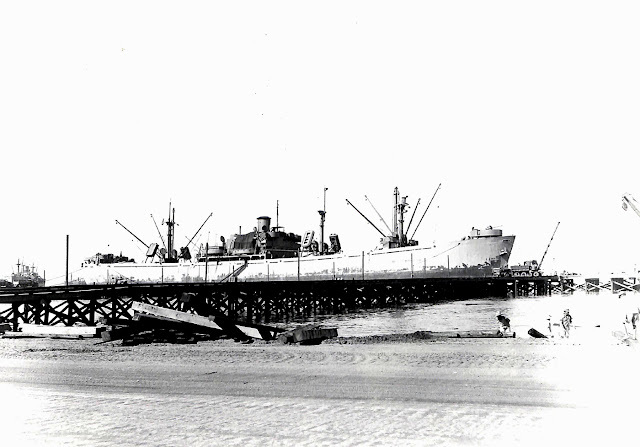 1052nd Engineer Dock No. 3, showing details and three stages of construction. 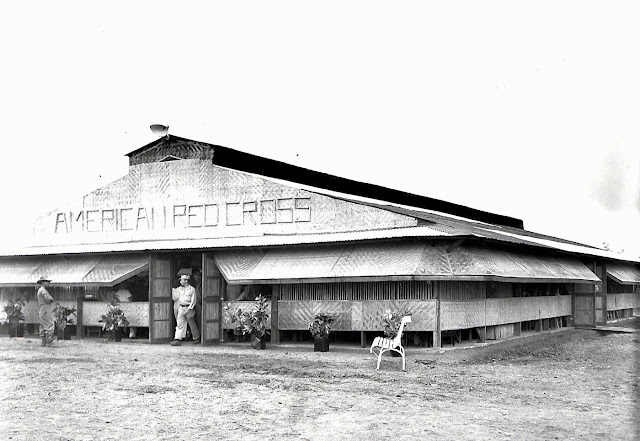 Base "R," Batangas, Luzon, P.I. Taken 29 June 1945. The new Hilltop American Red Cross Club for enlisted men at Base R Batangas, Luzon, P.I. Taken 16 September 1945. The chapel at the casual camp sub-base Batangas, Batangas Province, Luzon, P.I. Taken 10 November 1945. 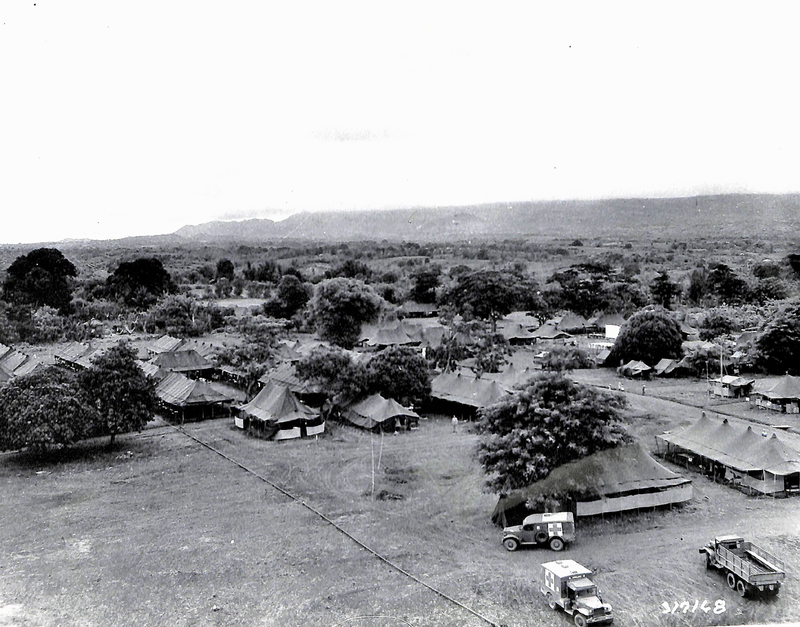 Area of the 89th Field Hospital, Base R. Batangas, Luzon, P.I. Taken 8 June 1945. 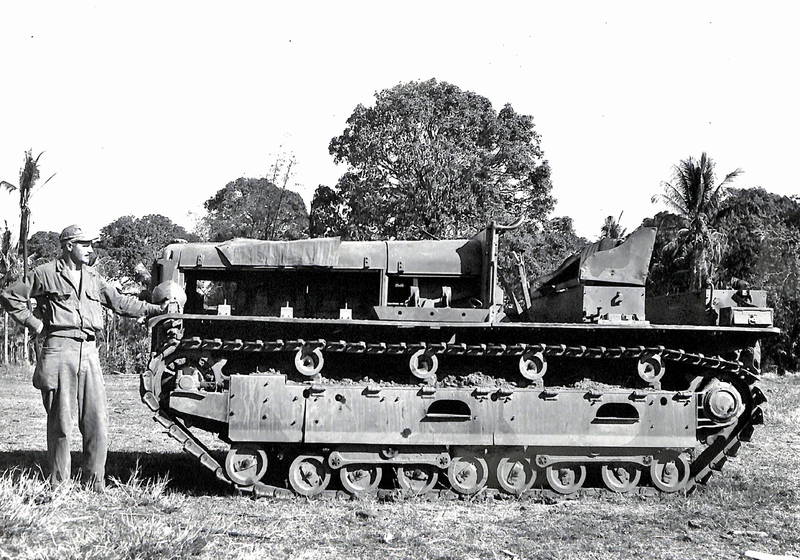 A 13-ton, type 95 Japanese prime mover captured by the 11th Airborne Division, in Batangas, Luzon, Philippine Islands. Taken 24 April 1945. 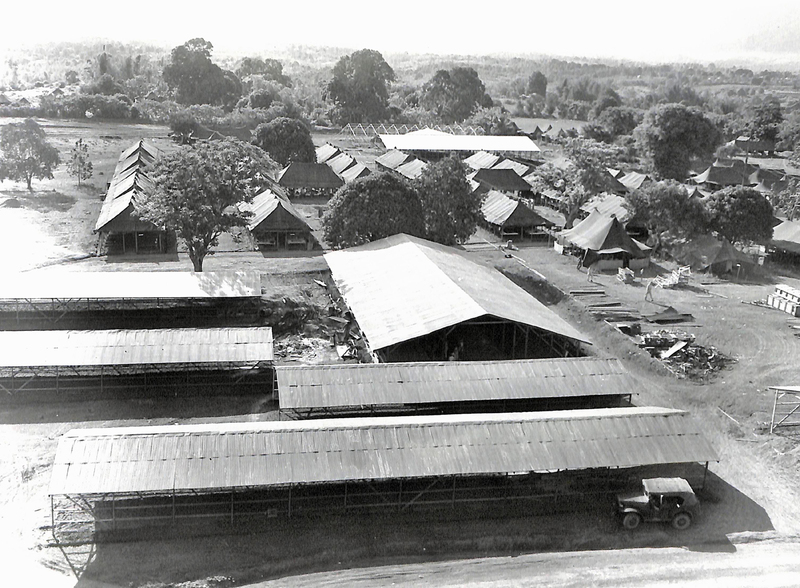 The quarters of the base surgeon, 19th Field Hospital, Base R, Batangas, Luzon, P.I. Taken 30 June 1945. The newly constructed Liberty Berths are adjuncts of the port command at Base R, Batangas, Luzon P.I. The first ship to dock is anchored there in Batangas Bay. Taken 29 June 1945. 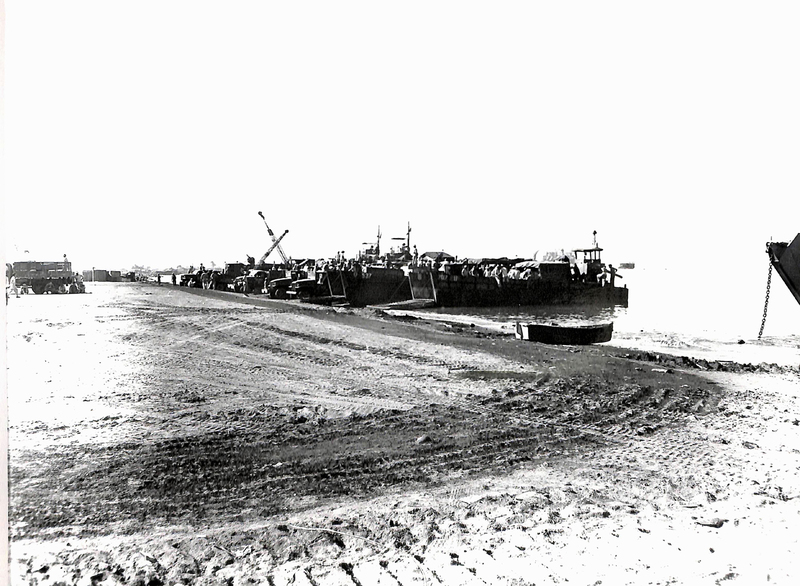 The LCM's (Landing Craft Mechanized) with (unreadable) on the landing beach at Batangas Bay, Base R, Batangas, Luzon, P.I. Port (unreadable). Taken 29 June 1945. The 237th station hospital area at Base R, Batangas, Batangas, Luzon, P.I. Taken 10 July 1945. The Information and Education Golden Gate College, at Base R. Batangas, Batangas, Luzon, P.I. Taken 20 June 1945. 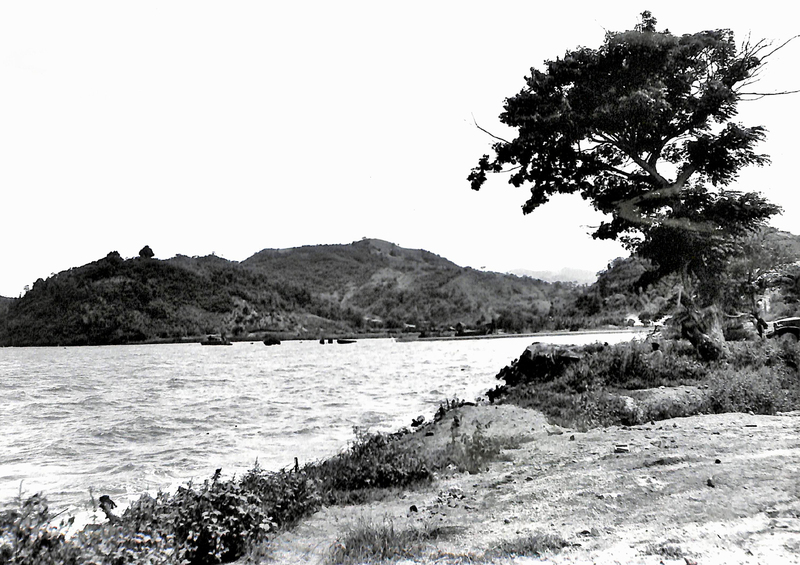 Base R, Batangas, Batangas, P.I., from the east shore of Mainaga Cover. Taken 28 June 1945. Signal Center at Base R, Batangas, Luzon, P.I. 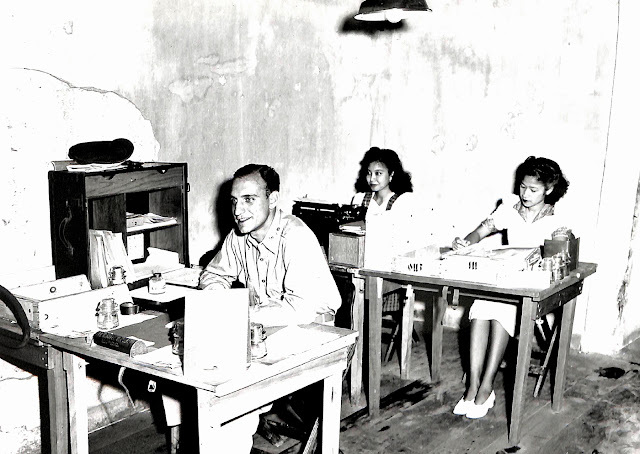 Lieutenant Rinaldo Dijulio of Camden, N.J., Administrative Officer, and Filipino employees working in the Administration Section. Taken 22 May 1945. 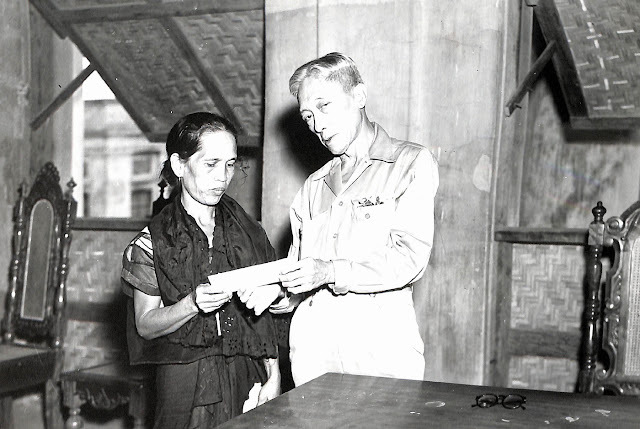 Governor Modesto Castillo hands a check from the United States to Mrs. Simeona Marquez to compensate for losses suffered from an accidental blast caused by stored explosives at Base R, Batangas, Luzon, P.I. Taken 20 March 1947. 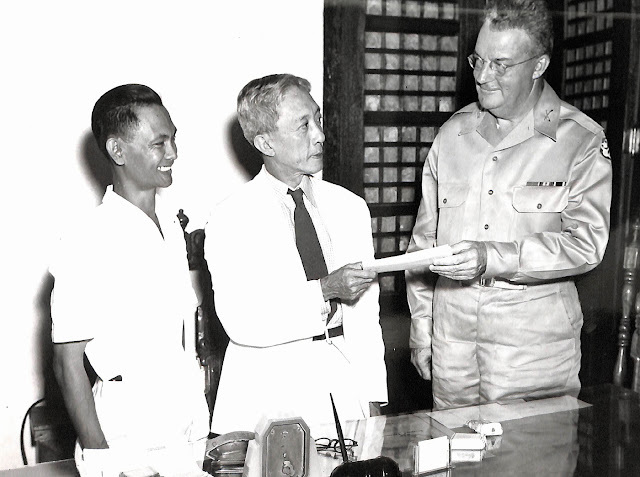 Colonel William Bloy (unsure), CO, Base R, presents check to Governor Modesto Castillo and Mayor Gregorio Areglado for property damage at Batangas, P.I. Taken 2 April 1947. 1 “Signal Corps (United States Army),” Wikipedia. 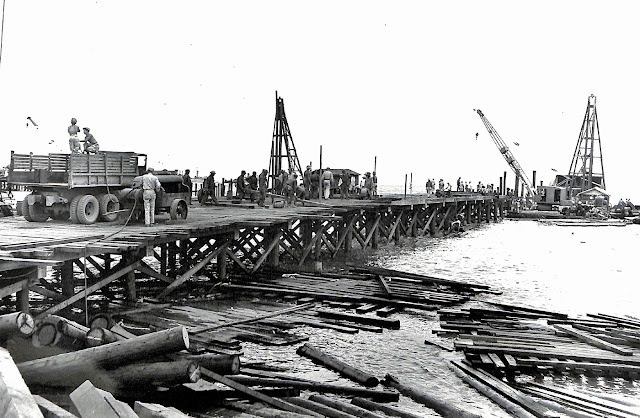 2 “Batangas (Batangas City),” online at Pacific Wrecks. 3 All pictures show in this post are from the United States National Archives’ “U.S. 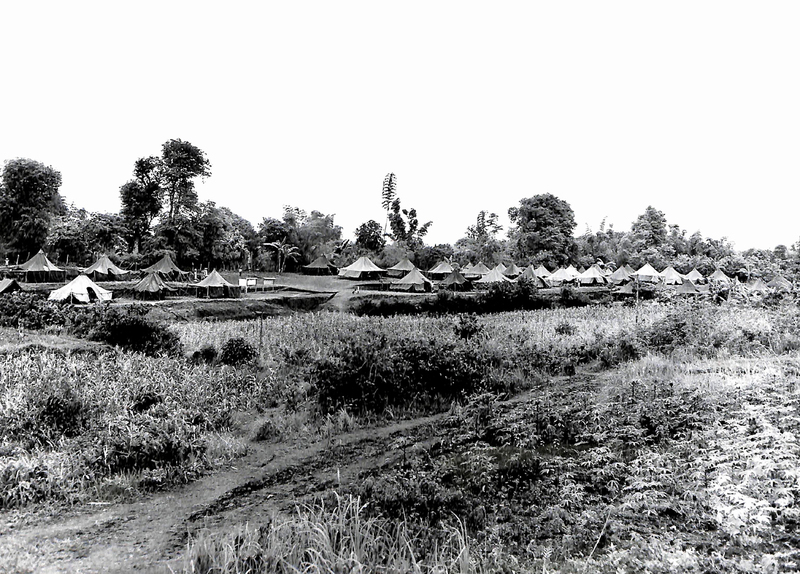 Army Signal Corps Photographs of Military Activity during World War II and the Korean Conflict” collection.